Early on in his career, British photographer Richard Powers, who is based in the South of France, focused on the natural environment developing his skills extensively throughout Asia, South America and Europe. Once back in London in the late 90s, his eye turned to the design world and quickly established himself with commissions from design agencies and magazines such as Elle Decoration. Today, his editorial client list includes US and European editions of Architectural Digest, Elle Décor, World of Interiors and Vogue Living as well as other international Conde Nast and Elle Decoration titles. He also works directly with architects, interior designers, hotels and publishing houses such as Thames & Hudson, Penguin Random House and Octopus. With 15 coffee table books to his name and 20 years of experience, Richard is a true force in his field, bringing equal amounts of enthusiasm, attention to detail and Zen calm to his work. 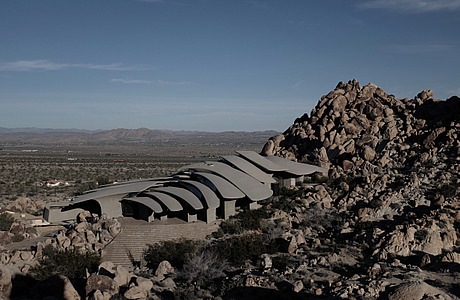 For his profile picture, Richard chose his shot of a Ken Kellogg house: "This shot was taken of a house designed by Ken Kellogg - High Desert House in Joshua Tree. Why? My passion is to photograph extraordinary houses - this one raised the bar!"